Inspection Light for hard-to-see and hard-to-reach areas. 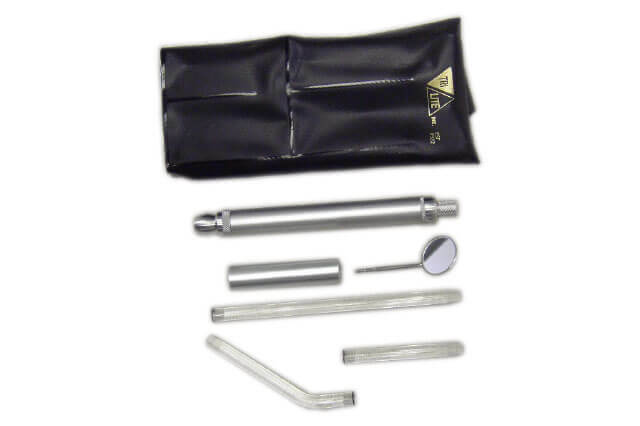 Kit includes a 6" straight, a 4" curved, and 2.5" straight Lucite light conductor. Clip-on mirror attaches directly to Lucite light conductor. Ideal for inspection of machine tools and parts, automotive repair, and hobbyists.